The hybrid cloud has been heralded as a promising IT operational model enabling enterprises to maintain security and control over the infrastructure on which their applications run. At the same time, it promises to maximize ROI from their local data center and leverage public cloud infrastructure for an occasional demand spike. Public clouds are relatively new in the IT landscape and their adoption has accelerated over the last few years with multiple vendors now offering solutions as well as improved on-ramps for workloads to ease the adoption of a hybrid cloud model. With these advances and the ability to choose between a local data center and multiple public cloud offerings, one fundamental question must still be answered: What, when and where to run workloads to assure performance while maximizing efficiency? 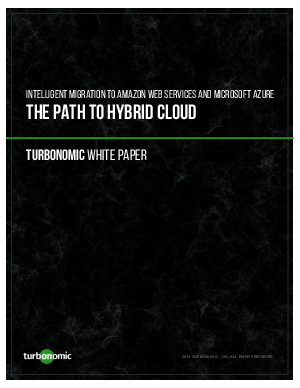 In this whitepaper, we explore some of the players in Infrastructure-as-a-Service (IaaS) and hybrid cloud, the challenges surrounding effective implementation, and how to identify and time the bursting of appropriate workloads.